We closed the first month of 2019 with connections and collaborations across the world, thanks to educators, innovators, leaders, and pioneers of the HundrED Community. 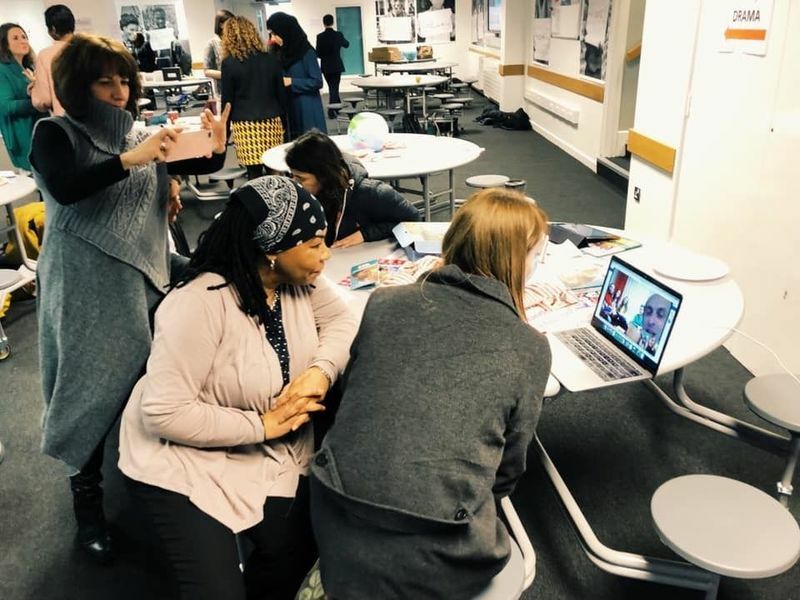 As the Head of Community for HundrED, over the last ten days, I had the opportunity to attend multiple events across London creating friendships, connections, and possibilities which foster a community of educators and innovators to come together for the benefit of students worldwide. 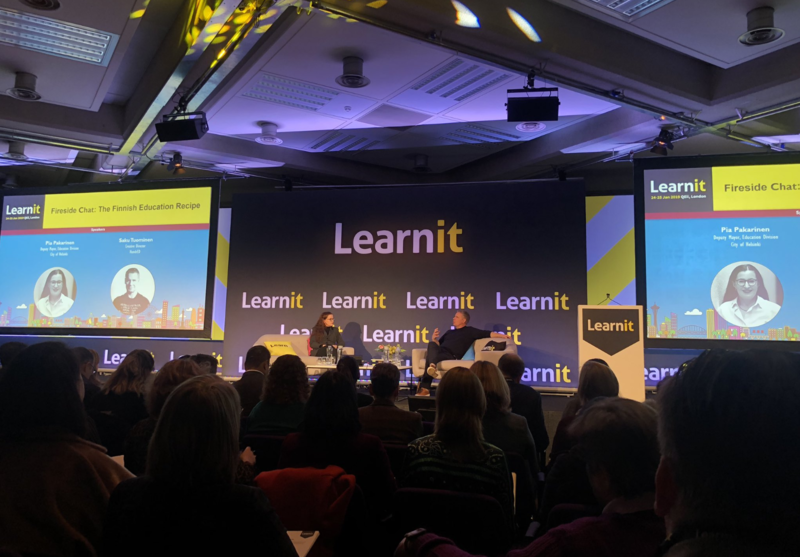 My first stop was at Learnit, a global learning event with an aim to lead intellectually honest conversations about the current state and future of learning, how to revolutionize education, and ultimately change the world. On day one, HundrED Chairman Saku Tuominen interviewed Pia Pakarinen, Deputy Mayor of Education in Helsinki, on the Finnish secret behind quality education. The session was very well received and people were reaching out to both participants over the span of the event. Saku Tuominen with Pia Pakarinen during the Fireside Chat on the Finnish Education Recipe. Saku Tuominen interacting with global innovators and educators at Learnit. On day two, I moderated a panel on Grassroots Change in Education through innovations for the Track “Making Change Happen”. 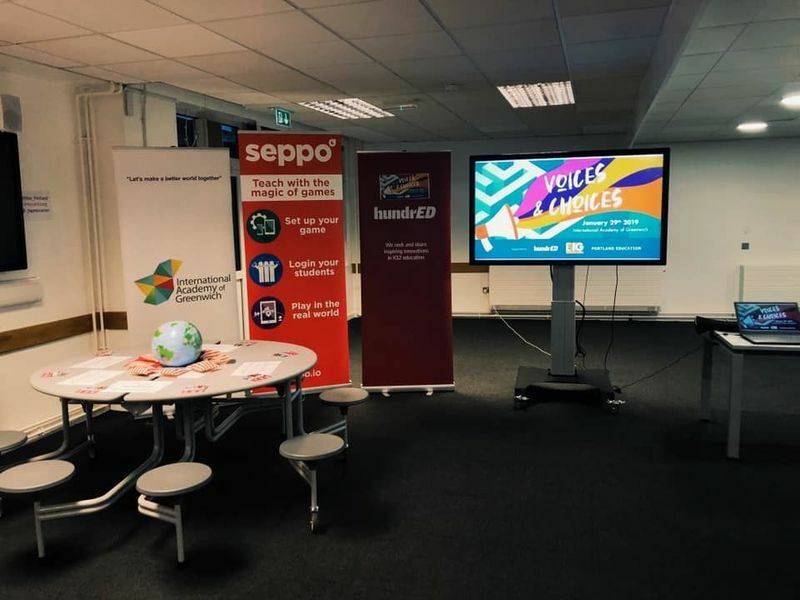 Our session was focused on showcasing some of the HundrED global education innovations that have successfully driven impactful and scalable change in education globally. We drilled down into how these projects achieved scale, how they were funded, and the tangible outcomes that resulted from each project. The panelists were chosen to showcase a variety of contexts, roles, and intervention strategies, all committed to helping children flourish. We are very thankful to Mary Gordon, Founder & President of Roots of Empathy (Canada), Serdar Ferit, Co-CEO of Lyfta (Finland & UK), Eva Domínguez, Founder & Director of NUSHU Earthling News in 3D (Spain), Zoya Shabir Siddiqui, Strategic Partnership Manager- BRAC UK representing BRAC Play-based Learning Centres (Bangladesh) and Katelyn Patterson, Primary Teacher and STEAM Coordinator from MUSE School CA (USA), for participating in the forty minute panel discussion. 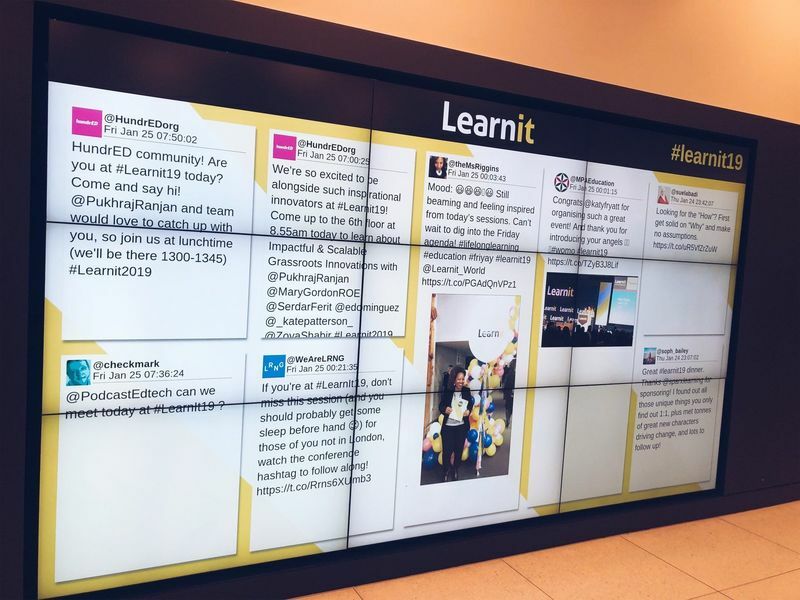 Due to collaborations between Learnit and HundrED, we were able to invite HundrED Ambassadors and other innovators from our community to the event. I noticed a remarkable connection amongst the members of the HundrED Community. We were lucky enough to see community members on stage, as well as catch up with others during the breaks. HundrED Ambassadors & Innovators from Lebanon, Portugal, UK, USA, Finland, and Belgium. With all this conversation among adults, it was the perfect time to remember the most crucial stakeholders in education, the students! With great excitement, we launched the HundrED Youth Ambassadors at the Learnit Conference. HundrED Youth Ambassadors are an active community of students from around the world who raise their voice for education change. Join the community now! 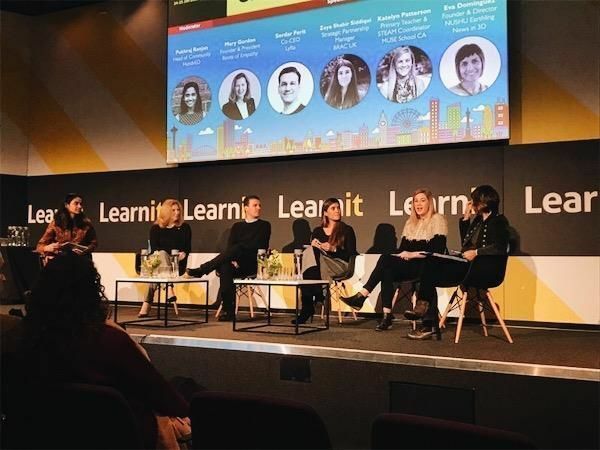 In the same week, I was able to pop into the BETT Show (UK), the world’s largest education technology event and for me, one of the largest education fairs I have ever attended. 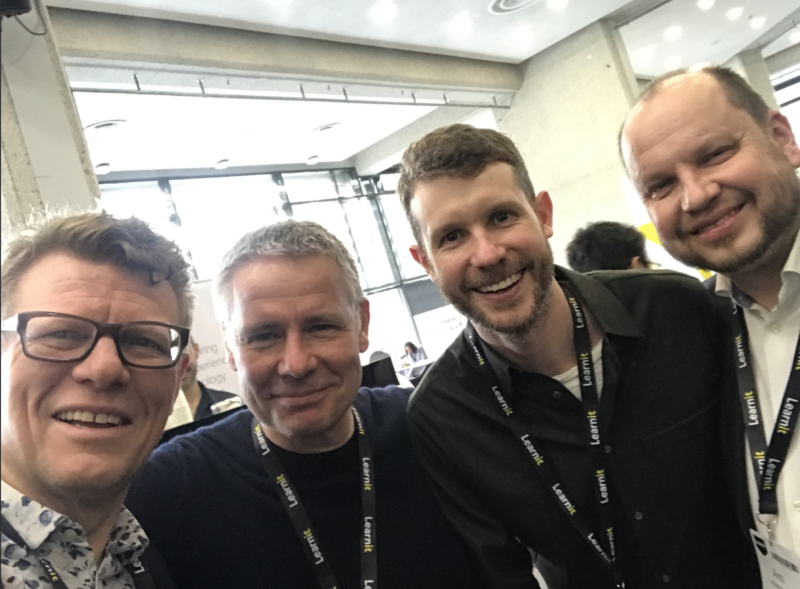 Even here, I was able to find familiar faces, like those from Chatta, Seppo, Digital Literacy for EFL Students through Edmodo, and pi-top, working hard and keeping busy ensuring their ideas reach the right audience and therefore many more students. I closed the London trip by participating in the first ever HundrED GLocal on Voices & Choices led by our incredible Ambassador, Alex Bell from Portland Education. The goal of a GLocal event is to share inspiring innovations in education at a local context, while empowering local teachers and education innovators and fostering an inclusive, collaborative movement for innovation in education. At this HundrED GLocal, we had a total of eight presentations, equally split amongst global and local innovators. We were all thoroughly inspired by the local presenters who included Sebastien Chapleau, Head Teacher of the La Fontaine Academy, and founder of the Citizen School, Stephanie Hill from Passmores Academy, Nadine Bernard, Founder of ‘I am here, we see you’ and Leila Douri, Teacher at the Surrey Square Primary School. It was incredible to see educators, innovators and other stakeholders travel great distances to join this buzzing community of individuals who are passionate about giving students choices and opportunities in life to have their voice heard. 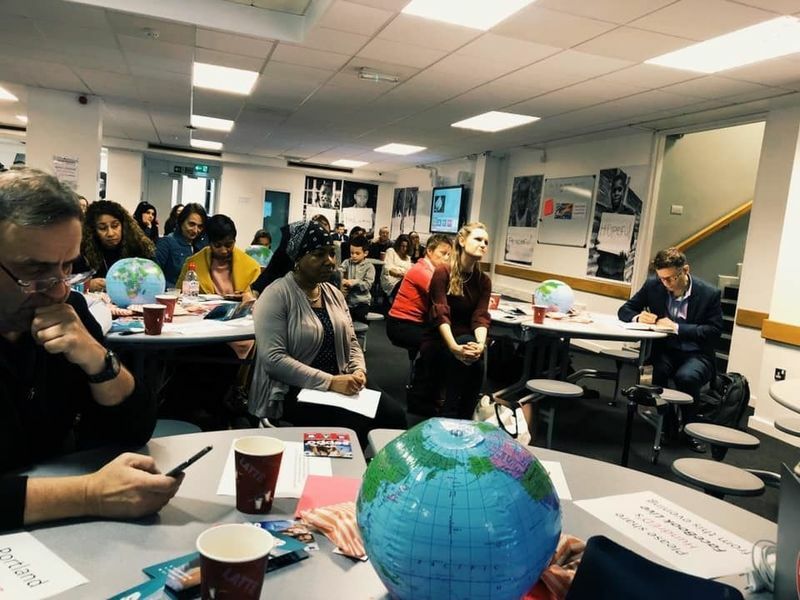 The HundrED GLocal would not have been possible without the support of Big Education, International Academy of Greenwich and Lyfta for sponsoring the event. Overall, my biggest takeaway revolves around understanding the power of the community we have and how each individual, despite being in varied contexts and roles, has the commitment to support one another for the betterment of education and therefore, students. The world, as well as the world of education, is smaller than ever before. Today, we stand with the opportunity to break barriers and accelerate change, so that all children can meet their truest potential and flourish in life. There is huge value in showing up, saying yes and making meaningful conversations and connections through community spaces and events, both online and offline. I can’t wait to see where our community takes us!